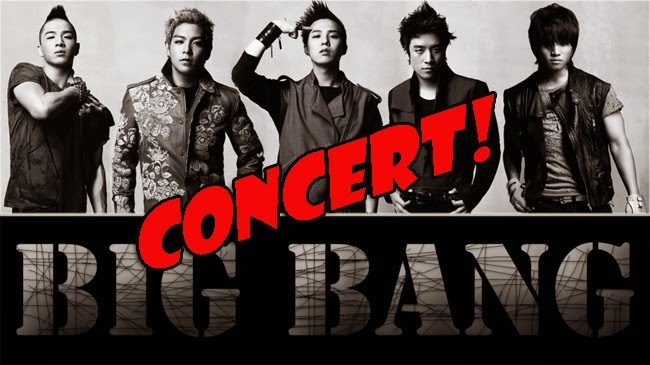 Big Bang concert tickets in Mall of Asia Arena, Manila are now available and up for grabs. Filipino fans are now excited to get tickets to see their Korean pop idols live in Manila on July 30, 2015. Fans have to pay a minimum of P2,500 just to see their KPOP idols. The tickets that costs P2,500 are only for general admission without any inclusion. Other charges might still be added on the primary price. Upper box costs P4,500, Upper Box VIP is P5,000, while lower box in P8,500. The most expensive tickets cost P12,500 for VIP Dance/Seated. Big Bang is one of the most famous KPOP all boys group known worldwide. Consisting of five males, G-Dragon, Daesung, Taeyang, T.O.P., and Seungri, the group successfully released hit songs like "Feeling," "Love Song," "Lies," "Fantastic Baby," and "Haru Haru." Big Bang's "MADE" World Tour was announced on April under the organizer Pulp Live World. This is the second time the group will visit the country after their "Alive" World Tour in 2012. Guangzhou, Hong Kong, and Shanghai are part of the tour in the first half of the year. Then the group heads to Bangkok, Singapore, and Kuala Lumpur, ending the Southeast Asian leg of the tour in Jakarta. Japan will also be visited in the later part of the year. Five cities will be lucky to be visited by the all male group with a strong fan base globally.